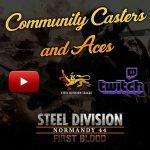 The Steel Division 2 Beta starts Tomorrow at 3PM CET! Check out this link for the exact time in your time zone. Players who have pre-ordered the game can now preload the beta and get ready to fight! 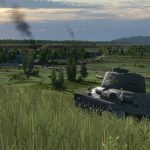 If you have pre-ordered Steel Division 2 on Steam, a new game, called “Steel Division 2 – Beta” has now appeared on your account. If you have pre-purchased the game through our online shop, on Humble Bundle or Gameplanet, your key will be sent by email and/or available in your humble/gamesplanet account. This first phase will end on Friday at 3PM CET, and the Beta will be back for a Phase 2 next week. 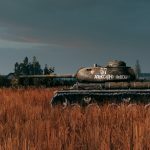 A Beta manual is available on this link. 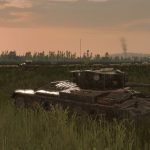 This Steel Division 2 Beta is… well… a Beta. Technically speaking, you will probably encounter the last remaining bugs. If you see one of those, please report them through this form, so we can eradicate them as soon as possible. When the game crashes, an automatic email is sent to our team with the technical details needed to fix it. Nevertheless, you can still contact us through this form if you feel that you need to bring more details. We will also update the FAQ during the Beta. This beta will also help us to understand what you like and dislike in our game. At some point of the Beta, we will send you a survey that will cover all of the different aspects of the game. But don’t hesitate to share your thought in the Steam Beta forums! We’re reading every single comment and will try to answer them as much as possible. 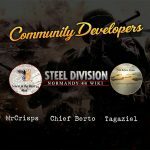 Any constructive feedback will be welcomed and acknowledged by our dev team, and we will update the game accordingly if we feel that the suggestions are good for the game (and, of course, feasible). And of course, any trolling or any message that doesn’t follow the Steamhub’s rules will be moderated.